So about a month ago I got a call asking if I’d like to film a music video for an up-and-coming German music star. He’s like the Michael Buble of Germany you could say and he needed a band to appear in his breakthrough music video that was to be shot in NYC. Well it sounded like it was worth a laugh at least and well, it was a paid gig on a Monday afternoon so what the heck! Turns out that the singer, Daniel has a nice voice and was cool to work with. We pantomimed his song probably 30 times over an hour or more in Terra Blues, a blues club on Bleeker street. From all that footage we got a total of about 5 seconds in this music video haha! I must say the production is excellent though. It’s like a love story and it features NYC so predominantly that I almost wonder if the city’s tourism board was in on it! Anyway, check it out for yourself. It’s fun and pop-y and even a bit of an earworm even though I have no idea what he’s saying. Seems like he has some muscle behind him so I’ll look forward to hearing more from him in the future!Book jazz band for wedding reception for great environments. I'm really proud of the musicians I work with. Over the past few years we've developed a reputation for versatility and excellence. That means that when someone really wants to hear traditional New Orleans style jazz, or Gatsby era jazz, the Master Keys happens to have on hand the best young players in that scene, many of whom have toured extensively with the world famous Hot Sardines. Similarly with blues and vintage RnB, the band really excels with authentic 3 horn arrangements and players like Sam Raderman on guitar who embody the tradition of blues pioneers like T-bone Walker. As versatile as we are sometimes people want to hear an exceptional female vocalist and that's something that I just can't do! That's why I'm pleased to announce that the acclaimed jazz singer, Vanessa Perea will be joining us on special occasions. She is a master of the American Songbook and an all-around great performer and I think she'll be a great fit for cocktail hours and private events. Really, Vanessa with the Master Keys is a sure bet. I could listen to her sing for days and I think you'll agree as well! BTW make sure you check out her fantastic duets with the Ladybugs. Book best Wedding Bands in New York City!!! I was having this conversation recently with a client that has booked the band for various events showcasing luxury brands. She said something that stuck with me and that was this: Most people these days go to an after party after the wedding reception. The old folks go home and the kids go out to party somewhere. What kind of music do you think is happening at the after party? There is most likely a DJ. So isn't it kind of lame to dance to a DJ at your reception and then dance to a DJ at the after party? Why not have a great jazz band for your wedding reception or any kind of band really (I consider my band to be a party band). That way not only do you get variety but you get something unique and special. The Master Keys often make special big band arrangements of couples' first dance requests. How often do you experience that at other peoples' weddings? Then there was the time that we made a big band arrangement of an Elvis song that the groom knocked out of the park! 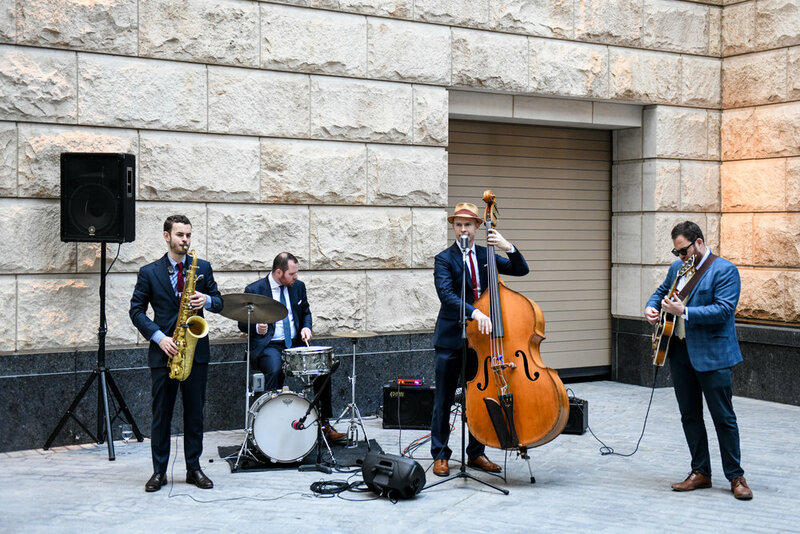 When you hire a great band for your wedding reception like the Master Keys, not only will you have a great time but you'll have a one-of-a-kind hand-crafted experience. AND your grandparents, aunts and uncles who hate hip hop will have a blast! Then you can go to the club! Anyway, I've been thrilled to link up with some great companies that either sell real estate or partner with other companies to create a luxury experience around a high-end product (Hennessy). They've found that nothing elevates the vibe of an event like excellent musicians joyfully creating a great feeling in the room. Guests can feel it and comment about it making the event. Everyone has heard DJs countless times and real music is fresh to our ears again. It really is a special thing and it shows good taste too! In these photos we are in the Penthouse at Manhattan View and 70 Vestry. 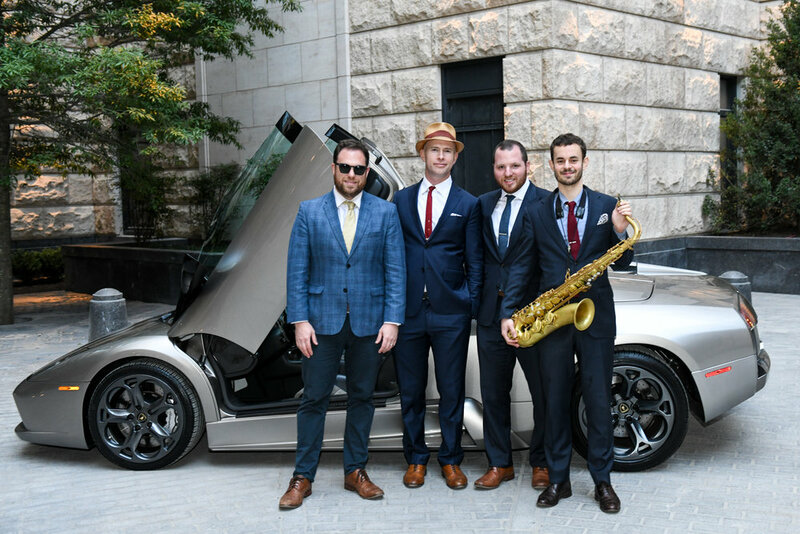 So, if you're looking to hire a wedding band in New York city, NY or just looking for a great jazz band for hire to make your event special, look no further! The new and improved trailer is here! I'm pleased to announce that the new trailer for the band is here! The previous one, filmed by my brother, Alex Maness, had served me well but after two years and some personnel changes it was time for another edition. As I said in the last post, we recorded it in the Relic Room in Chelsea, which boasts a lot of great vintage gear and microphones that we were able to use. We only had a couple of hours but we knocked out 5 full songs and 5 partial songs. If you've never recorded before, let me tell you that is a lot in a very short time! A testament to the professionalism of the band. As of now we have a sweet trailer that you can see here that features a few songs. In the works is another trailer and a couple of videos that highlight entire songs that I think showcase the band well. Thanks for reading and I hope to see you soon! 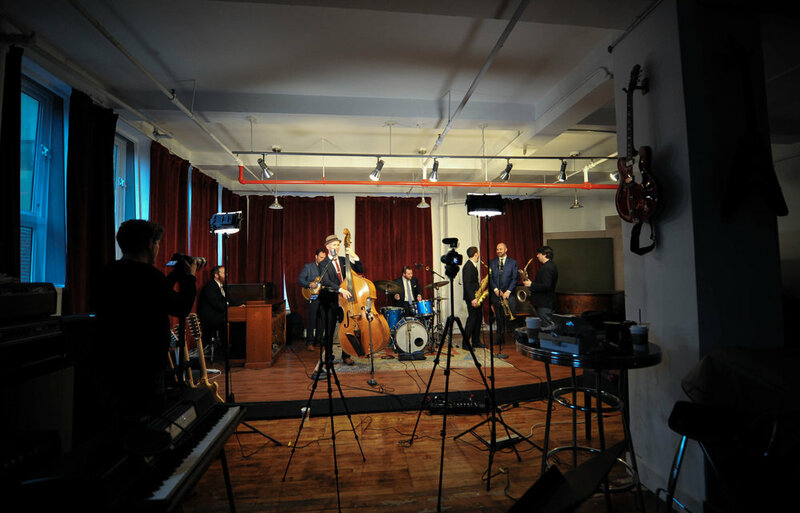 This past weekend Peter & the Master Keys had a very successful video shoot at the Relic Room, a fantastic recording studio that also happens to look great on film. I've been working on a new promo reel for the band and got Aaron Rockers to shoot footage and edit. Behind the scenes, the talented Mai Comeros shot this footage that you see here. You can tell that there is a great feeling in the room when this group gets together and that comes through in the music. I can't wait to share the video with you! Rooftop season may be drawing to a close but here's a little secret for you: there is about a month left and, once it starts to get a little chilly, the folks at PHD Terrace have a very nice enclosure that they erect over the roof to keep the party going through the winter. I've been playing this weekly gig with the great Nick Palumbo for over 6 months now and it keeps getting better. We've been playing classic Rock 'n Roll from the 50s and 60s with some Italian songs thrown in to create a vibe for the Italian themed event. If you haven't been, PHD Terrace is a beautiful rooftop space in midtown Manhattan and epitomizes the kind of classy nightlife that many people seek out in the Big Apple. We hope to see you there one day! Every second and fourth Monday of the month, Peter and the Master Keys performs at the Wayland in the East Village of New York. On these nights I perform with a quartet rather than the sextet and have different guests with me all the time. Sometimes I'm featuring a great guitarist and other times one of my favorite organists. It's also an opportunity to workshop new songs like some of the Ray Charles songs I've been working on. Tonight, I'll be playing with some old friends: Erik Blicker- an amazing guitarist as well as engineer and entrepreneur; Nicholas Myers- a fantastic jazz and blues tenor sax man; and Alex Raderman- one of New York's most in-demand drummers.